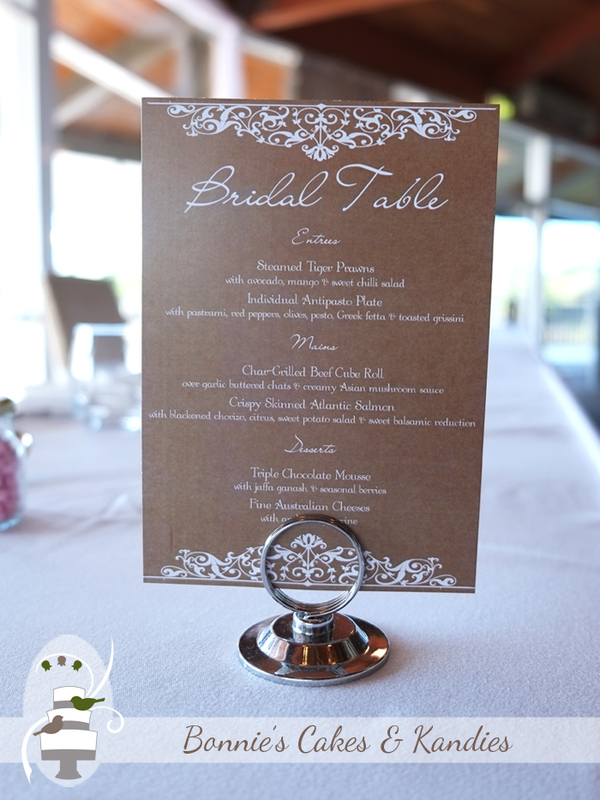 Melissa & Brent were married on a lovely, sunny day at Novotel Twin Waters Resort earlier this month. 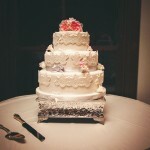 Their reception was held at the gorgeous Lily’s on the Lagoon, and it was my pleasure to create their gluten free wedding cake! 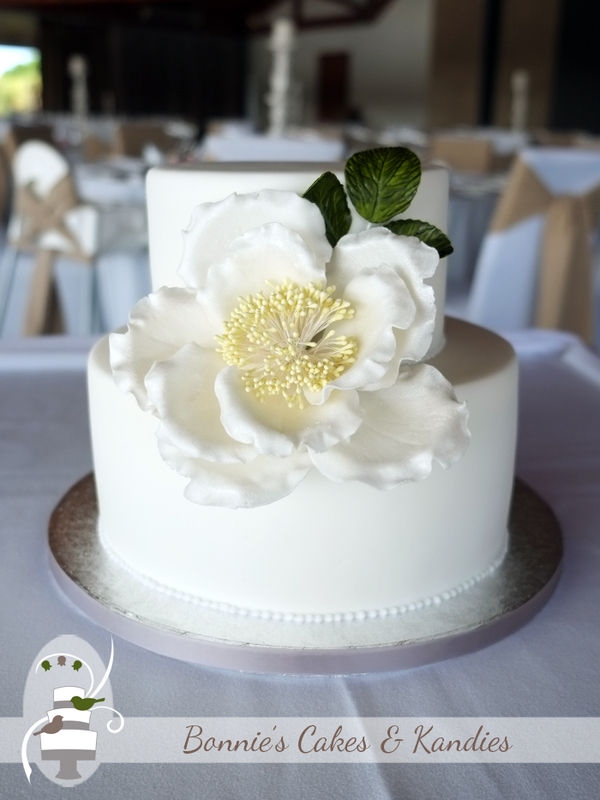 The focal point of Melissa & Brent’s cake was a large statement flower, made in white – the same colour as the covering of the cake. 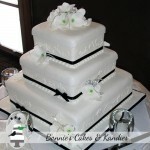 Dark green leaves and yellow stamens added a pop of colour to the sweet and understated design. 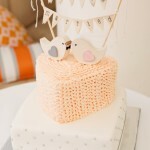 Served with tea and coffee, guests were treated to a choice of lime & coconut cake, and white chocolate mud cake. 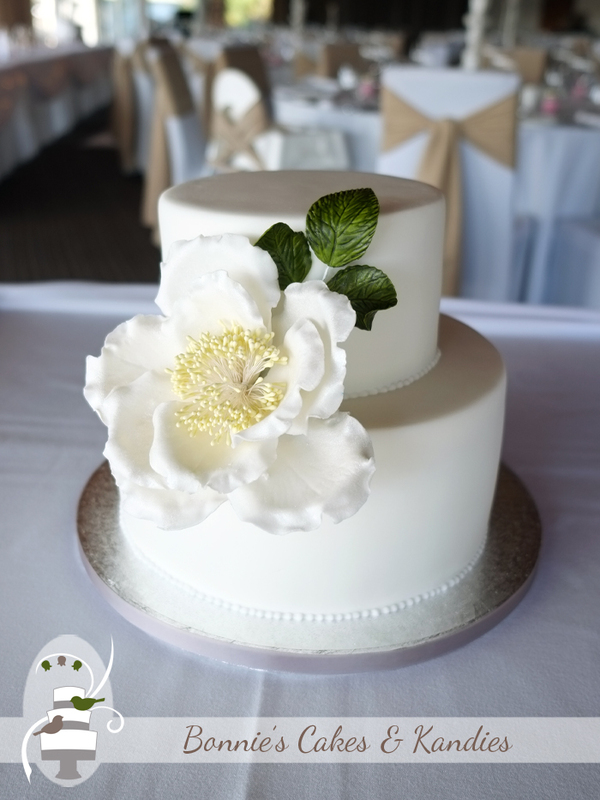 Both tiers were covered with my handmade white chocolate fondant, and filled with the very popular white chocolate buttercream – all gluten free and delicious! 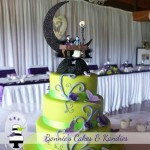 Thank you to Melissa & Brent for choosing Bonnie’s Cakes & Kandies! 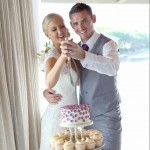 All the very best to you both and congratulations on your marriage!